‘Under The Lights’ is a new sound for the South African DJ and producer, who is now based in Montpellier in the south of France. The sound is melodic and uplifting dance music with emotion, and the soulful vocals of Sydney James Harcourt who has performed on Broadway shows such as The Lion King and Green Day’s rock musical, American Idiot. 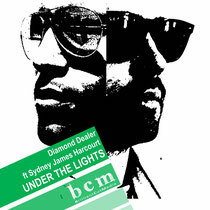 Under The Lights was voted 80% hot by listeners on The Fresh Drive, on 5FM, South Africa’s no.1 drive time radio show. It’s out October 31 on Brilliant Cut Media. Have a listen to it below.